No matter how much of an expert you are when it comes to swimming, it is always possible to drown in even the most calm waters. That is why life jackets were invented in the first place, but we don’t really like to wear them because we feel they do not let us move as much and have as much fun as we want in the water. 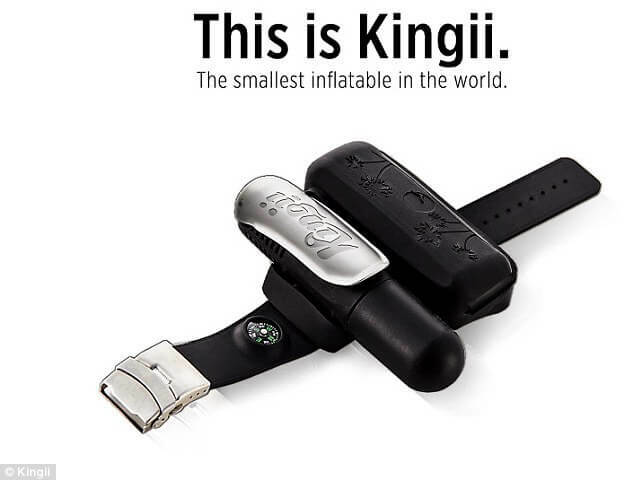 So, the human mind has thought of something else, something more innovative and life-saving: the inflatable bracelet which deploys a big balloon of air when told to do so and save you from drowning. 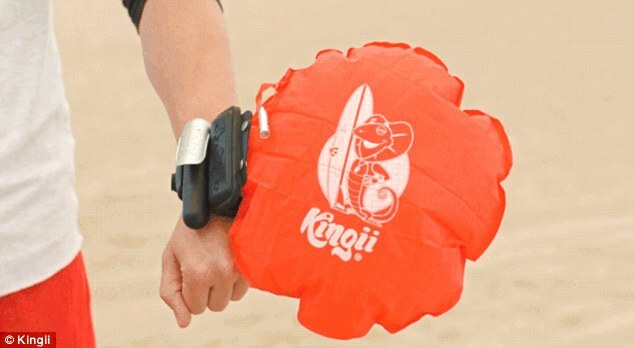 The bracelet is named Kingii and is here to make the world of sailing and surfing much safer. It is reportedly the smallest inflatable device today and capable of keeping a man afloat in water. It is non-invasive, you won’t mind wearing it, you might even forget you have it on you until you really feel like you need some buoyant balloon of air to save the day for you. The device is also reusable. 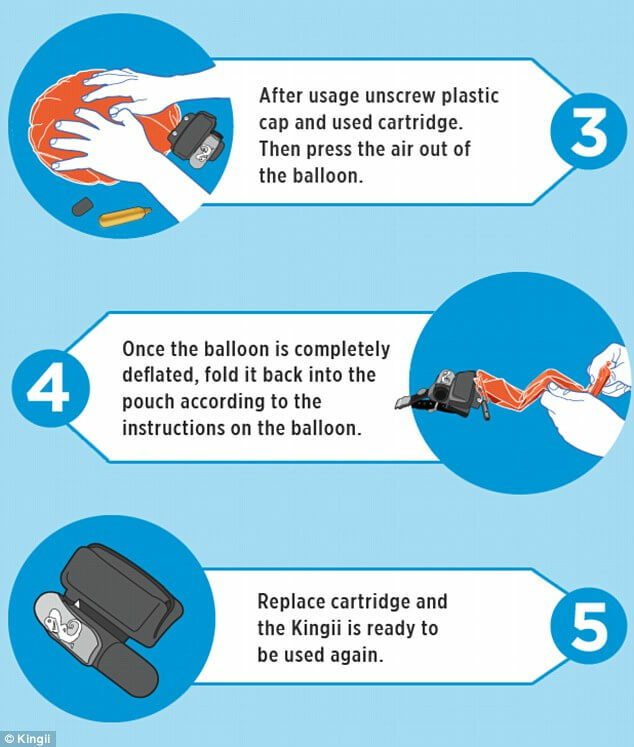 If you’ve deployed the balloon of air to help you keep your head above the water, no worry! You can use it again, you just need to replace the CO2 cartridge inside and you’re all set for another go. 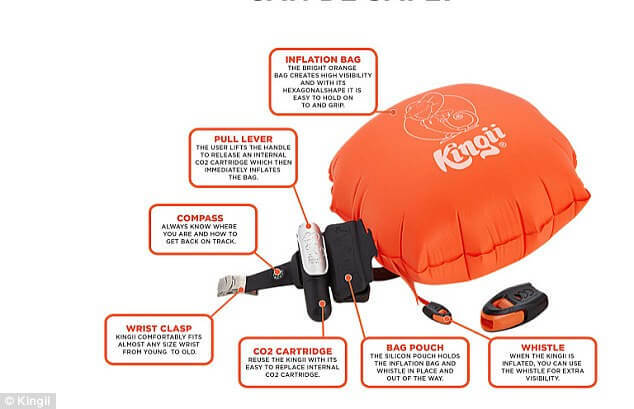 “I invented the Kingii Wearable because I had a very good friend who died from drowning. 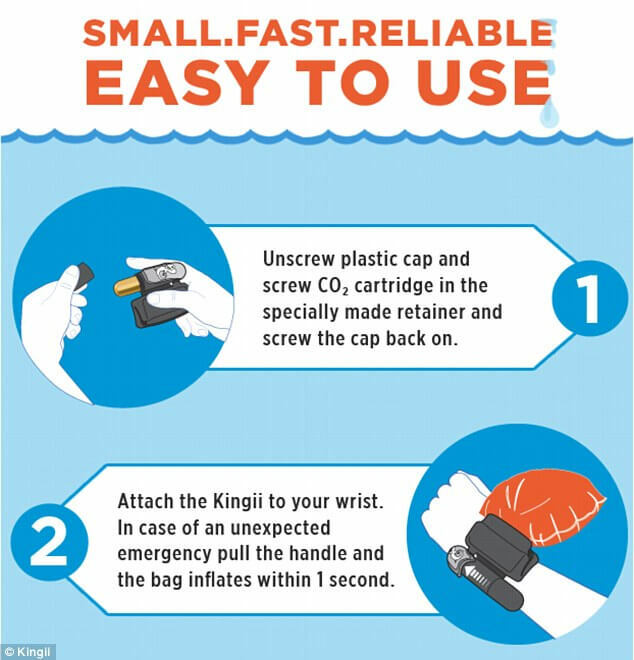 Even the most experienced swimmer can experience a water emergency, and my friend paid the price for being unprepared”, said Tom Agapiades, Founder and President of Kingii. The people behind this device are trying to raise money through Indiegogo to have this safety device go into production. They already raised around $350,000, five times more than they’ve expected. We say the device is most useful and also, looks pretty good on your wrist. So, stay safe! Next Story → 10 August Dessert Recipes Everyone Has To Try!